This content is provided by Hans van Wijk. 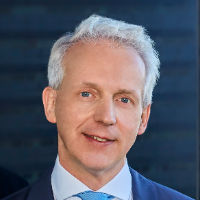 Hans van Wijk has more than 25 years’ experience gained in various legal practices, mainly Supreme Court litigation. Areas of expertise: corporate law; private law in relation to the public sector; liability law; Dutch Caribbean law. Hans is substitute judge in the Court of Appeal of ’s-Hertogenbosch and is the former President of the Board of the Association of Supreme Court lawyers.